Here are three situations that I should have learned how to handle better at some point in my upbringing but never did. Ready? 1. Sharing free food. Or, how to go to that lunch talk with the pizza from that place you like and wait in line without freaking out about whether that person ahead of you is going to get the last piece of pepperoni pizza or wondering how you can subtly take extra to save for dinner because you’re cheap. 2. Other people giving me free food. Or, how to politely accept one of whatever has just been offered you by a friend, then eat it, placidly, without immediately convincing yourself that what you just ate was the most delicious thing on the planet and you are so missing out on life and happiness because you could only have one. 3. 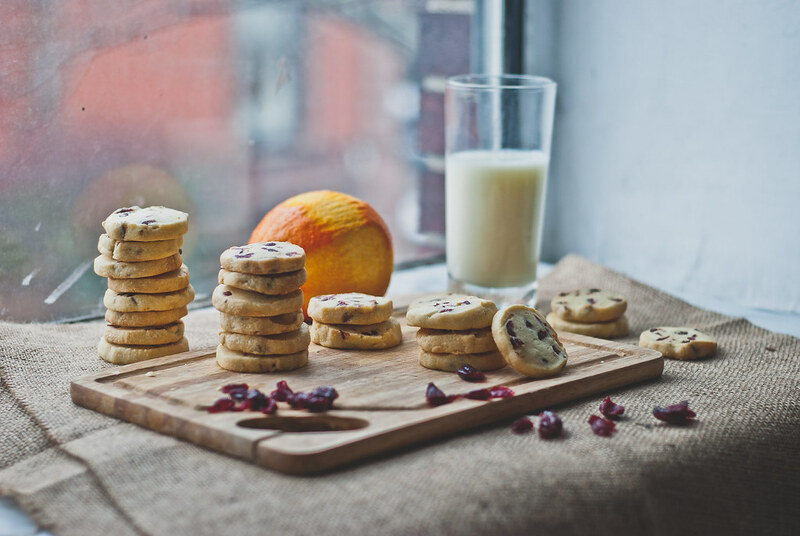 Those two situations combined into a mega-situation, or, what happened last Christmas, when a neighbor dropped by my parents’ house and left us a sleeve of cookies – big, cheerful, cranberry-studded shortbread cookies with flecks of sunny orange zest. Man, those cookies were so good. Either because I couldn’t get them anywhere else but from this goddess-baker-neighbor, or because I had to share them with the rest of my family, I swear to God those cookies were the best cookies I’d ever had. I coveted the crap out of them. I calculated how many I could fairly eat without hogging them … and then I ate some more. 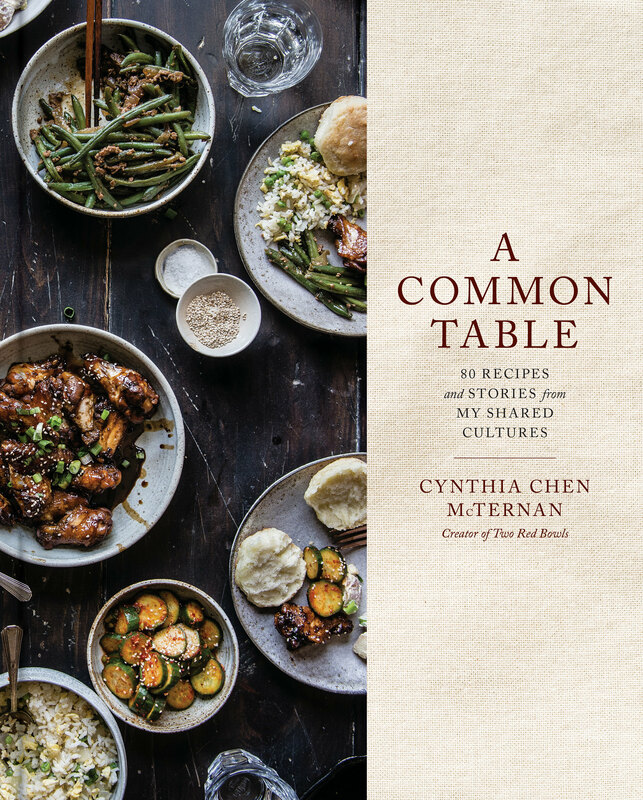 After I’d had (more than) my fair share, I stared at them wherever they were and stared at each of my family members as they ate theirs. It was so normal. And, even though things are always a little less tasty when you have them in unlimited supply and you don’t have to share (well, at least to my greedy little self), these were everything I’d hoped for. 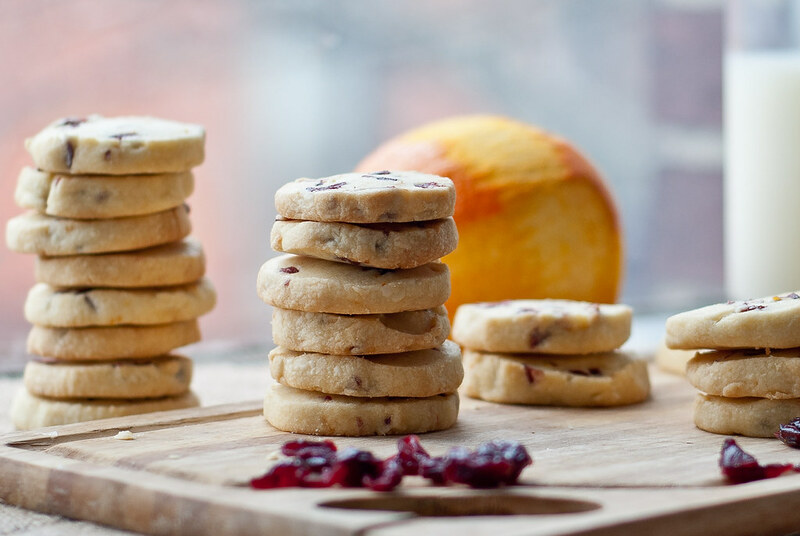 The shortbread is buttery and delicate, but the cranberries and orange zest (which, by the way, makes the cookie dough taste like a Creamsicle, just saying) give the cookie satisfying substance and a nice chew; the touch of almond extract ties it all together. A couple of months had gone by since I made these this past weekend, and I’d grown a little blase about it. Sure, they were great, but hey, now I can have them whenever I want, I’m not reliant on my neighbor-friend, I don’t have to share with anyone. So what. Then I made them again yesterday — and the moment those jewel-colored cranberries went into the butter, and the moment I zested those oranges — it all came back to me. This is definitely my favorite Christmas cookie. Definitely. Anyway, if I haven’t hyped it enough, here’s the recipe, based exactly on Hannah’s recipe at Honey & Jam. I normally halve the recipe to yield two dozen, which is what I’ve listed below, though I made her full recipe for holiday cookie packages; my instructions are also for hand-mixing. Note: I have added an egg yolk in the past, which helps to add a bit of tenderness, though it’s not significant. If anything, I thought the difference was biggest just when I was attempting to shape the dough into a log. It will be quite a bit softer with the egg added. Yield: two dozen, easily halved or doubled. based exactly on a recipe by Hannah at Honey & Jam. Cream the butter vigorously until creamy and smooth, about 2 minutes. Add the powdered sugar in several batches, beating until smooth after each addition. 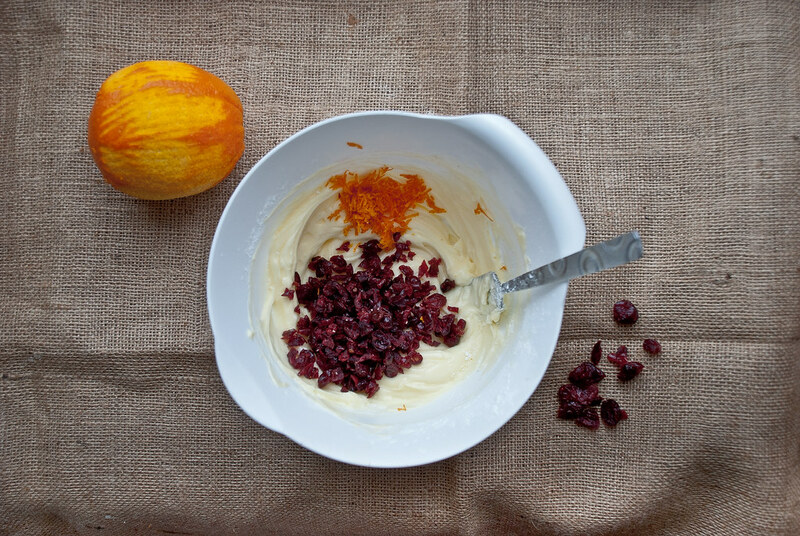 Add vanilla extract, almond extract, orange zest, and dried cranberries, and mix just until combined. In a separate bowl, whisk together flour, baking powder and salt. Add the flour mixture to the butter mixture, mixing gently until the dough comes together in a thick paste. Form dough into 2 logs, each about 1 1/2 inches in diameter; wrap in parchment or saran wrap, and refrigerate until firm (at least one hour), or up to 3 days. You can also freeze the dough at this point until you’re ready to bake. If I’m not making these in bulk, I usually freeze one log and chill the other. When you’re ready to bake, preheat the oven to 350. If frozen, let the logs stand at room temp for 10 minutes. Remove parchment. Definitely eat some dough (no egg!). Slice logs into 1/4-inch-thick rounds, and space about 1 inch apart on baking sheets lined with parchment. (They will not spread much.) Bake until pale golden, about 12 minutes. Let cool, and eat! For instructions on how to make these with a stand mixer, see Hannah's recipe at Honey & Jam. Additionally, if you like, you can add an egg yolk for extra tenderness, though I found that it made the dough a little bit unwieldy when I was shaping it into logs. It adds a bit of sunniness to the dough, though, and will help the cookies stay tender longer when stored. It's best to add one egg yolk for a double batch of these. And yes, I’m working through my sharing issues by wrapping these up, along with these gingersnaps I posted last week, to give to any and all friends I can think of. I promise I can (sometimes) share. Also, if you think those little window boxes are as cute as I think they are, check out One Balloon on Etsy! 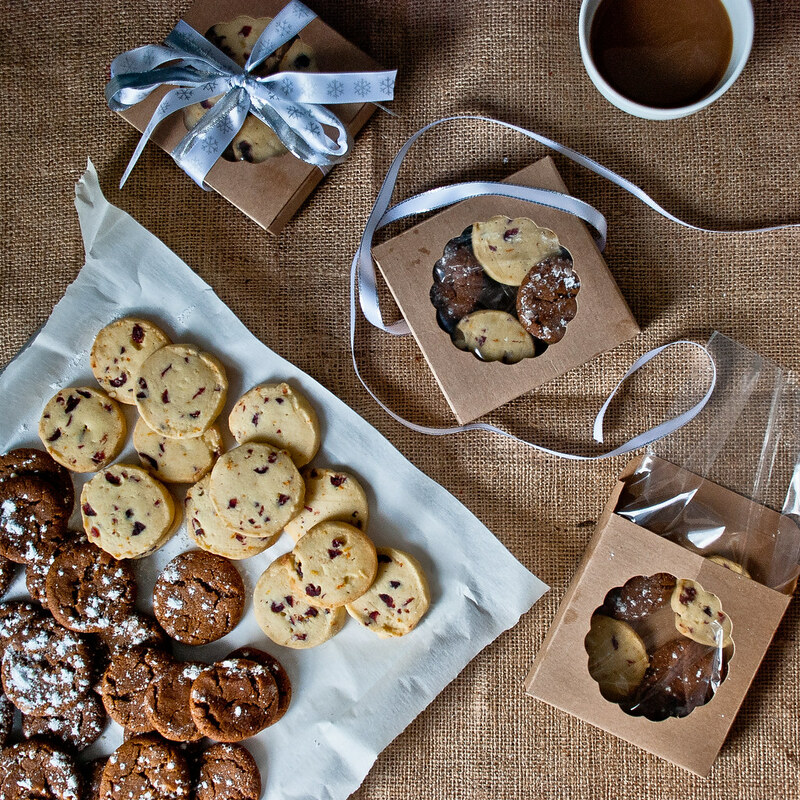 The cookies look delicious and love love love the cute packaging! Haha thanks you too! Yes, up early for work (finally getting used to actually working full days!) How are you liking your job? Hope you get a break over the holidays! I’m liking it just fine! 🙂 I’m at a good, not crazy but steady kind of busy, which I hear is a very hard balance to strike so I’m savoring it while I can. Definitely not up as early as you though! Hope you’re liking yours and ditto on the holidays! i was just about to ask where you got those adorable cookie boxes from, the packaging is so adorable. i once made orange rosemary shortbread cookies that, now that i like about it, were so good, i don’t think i shared them with anyone. Thank you so much, Lan! I was pretty smitten with them myself! Her shop is lovely in general. Oh my gosh, orange rosemary sounds absolutely fantastic! I made almond rosemary a few months ago and that was also great — though my mom tried one, made a face, and said “It tastes like it should be meat…” Haha. I think the orange would have worked better! I might be salivating. Might. Ha! My job here is done. Orange and cranberries are a favorite combination of mine. I was smitten with the title of the post and then I read your story….. A must make and I will find time! Wow those look good. Also I can *completely* identify with struggling with your #s 1, 2, and 3…. I get kind of covetous (and count-y) whenever anything delicious is in limited supply and meant to be shared! Not that I like that about myself, but I guess I’m still willing to admit it. 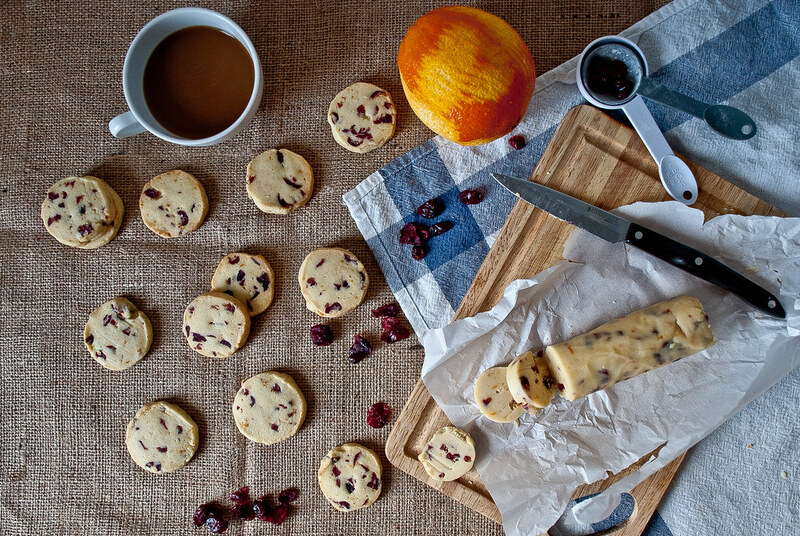 I really really want to try making these, but with fresh cranberries instead of dried… do you think that would work? Hahaha covetous is the perfect word! I was trying to work that into my post but couldn’t figure out how to in the end… I’m glad I’m not the only one (though I agree that I don’t like it about myself either!). I honestly have no idea about using fresh cranberries. I saw someone comment on Hannah’s original recipe asking the same thing, and she responded that she didn’t think it would be sweet enough. 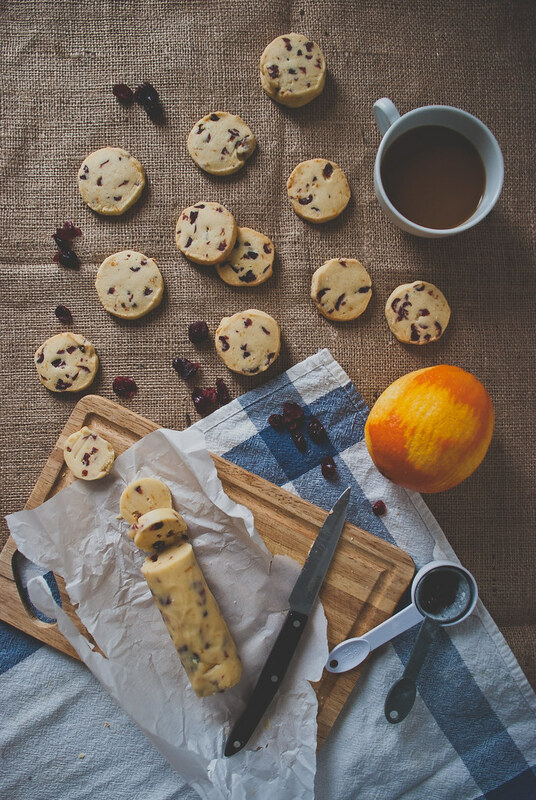 Personally, I don’t mind when shortbread isn’t particularly sweet, so I think it would be fine — my only worry would be the extra juice from fresh cranberries. Maybe you could chop them fine and then pat the bits dry before adding it to the dough? Definitely update me if you try it!! How do you do this kind of photography?!! It’s outstanding! Mimi, thank you so much! That means a lot to me — I feel like my photography is something I’m always struggling to improve. And, if that question wasn’t rhetorical, I think what’s helped me most is studying the photography I really like (Pinterest boards are so key!) and figuring out what they did that I admire. Overhead shots are always good, and so are props! they look great! i love your photos. These sound amazing and your photos are stunning, as always. I love shortbread. Just got done making some chai-spiced shortbread cookies. I will have to try these our soon! Happy holidays! Haha, I’m glad I’m not the only one who has those tendencies! 😉 Something to put on the New Year’s resolution list. And thank you so much for your sweet words! Hello! 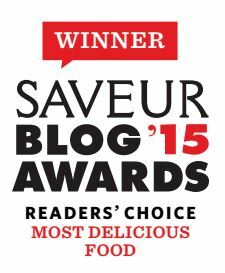 I chose to read your blog and found it to be fun and up beat. I wonder if you have any ideas on how to execute a cookie exchange, or good sources?